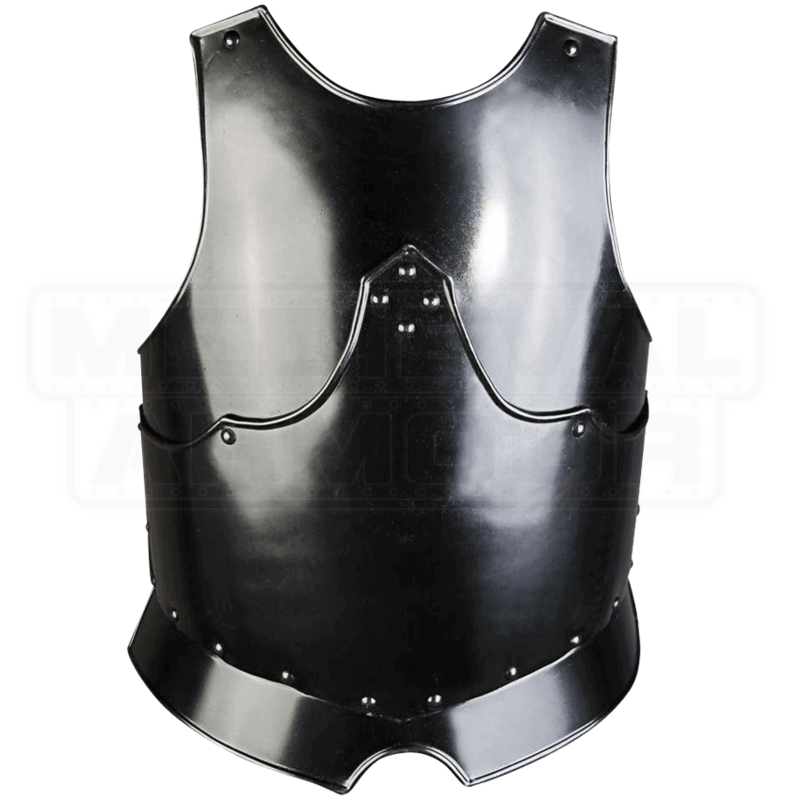 A fantastic armour piece to add to your next medieval or LARP look, the Blackened Gustav Breastplate is a plate armour piece featuring a versatile design along with a stylish blackened steel finish sure to suit a variety of looks. The armour is made up of three rigid 18 gauge blackened steel pieces, and two leather straps cross in the back to fasten the armour to the wearer, making this a highly adjustable addition to any set of light reenactment armour. Rivets in the center of the armour add just the right amount of detail to lend this piece its own distinct, visual interest.